As much as I love the holidays, I absolutely love seeing my kids’ excitement! They come home from school having done some kind of Christmas craft or assignment, including paper chains and snowflakes, and they’re so excited to hang them up on display around our home. 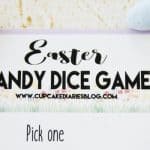 We haven’t had a lot of plans this holiday season so we’ve had more opportunities to spend time with the kids and do fun activities. 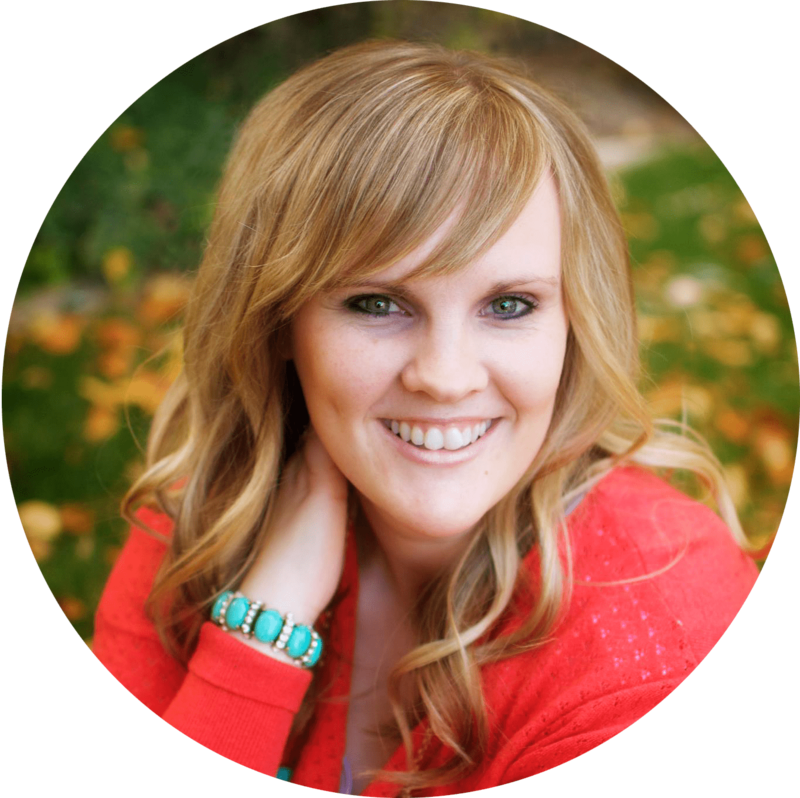 Two weekends ago we watched one of the kids’ favorite Christmas movies and ate fun snacks. And last weekend we had a pizza party and built a gingerbread house. The entire meal from pizza to dessert was so quick and easy to put together. 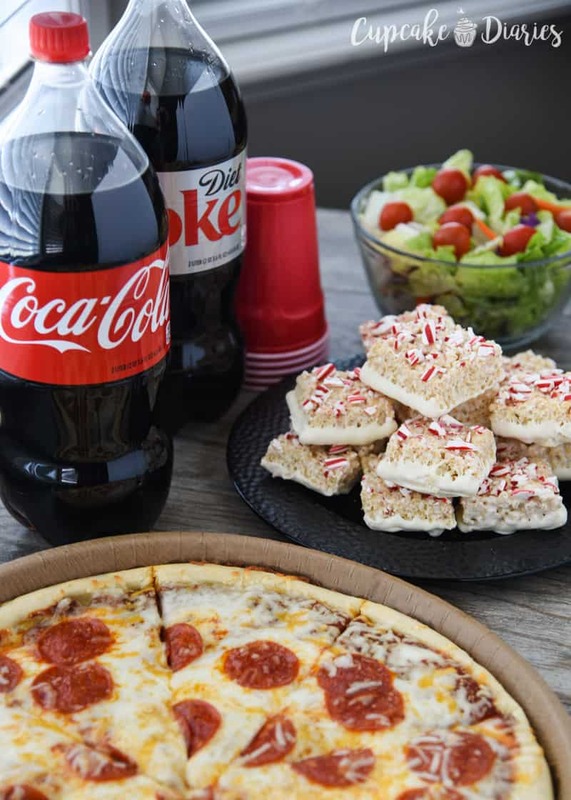 We had WinCo Foods pizza and baked it at home, Coca-Cola® 2 Liters to drink, and Peppermint and White Chocolate Krispy Treats for dessert. 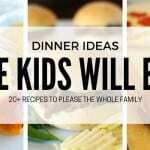 This meal was perfect for our family party and the kids loved everything about it. 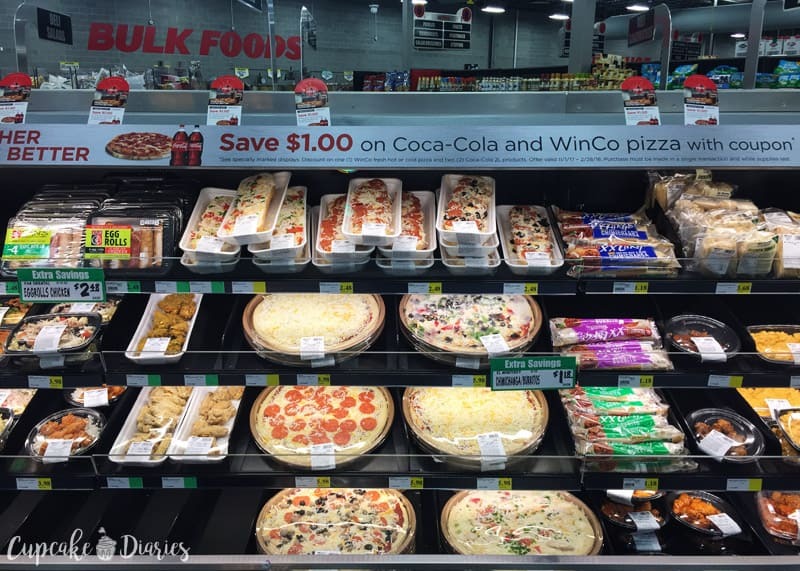 And WinCo happens to have a Coca-Cola and Pizza offer happening right now! The main component of our party was the pizza. 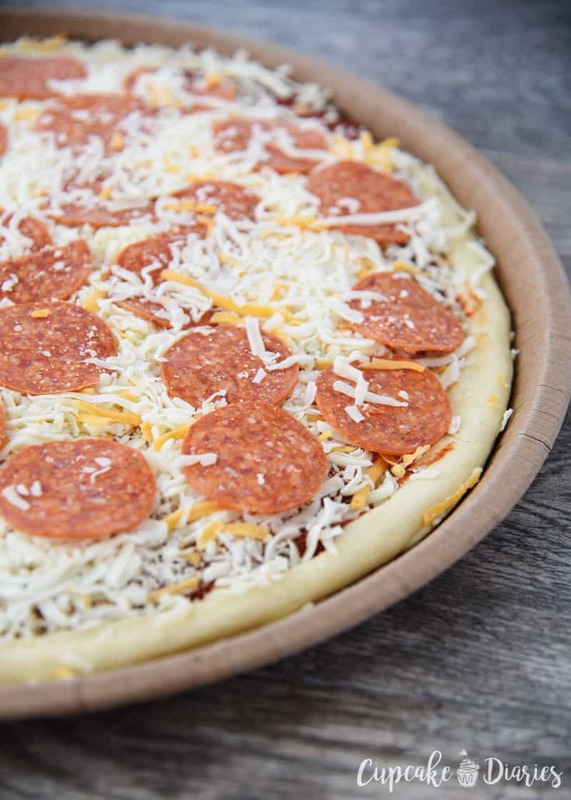 WinCo Pizza is available in the deli for take and bake or oven fresh and ready to eat in select locations. I love that the pizza bakes right in that tray. It is the perfect option whether you want to take it and bake it at home, or take it home hot to enjoy. There were a lot of varieties to choose from. You get quality for a low price with this pizza! We all loved it. If you’ve never shopped at a WinCo before, jump over now and find a store near you! At WinCo you don’t need coupons or an ad to save money. They limit their advertising which saves millions of dollars that they then pass on as lower prices to customers. We always save when we shop at WinCo. And my kids love it there! It’s by far the best place to get the best grocery deals. 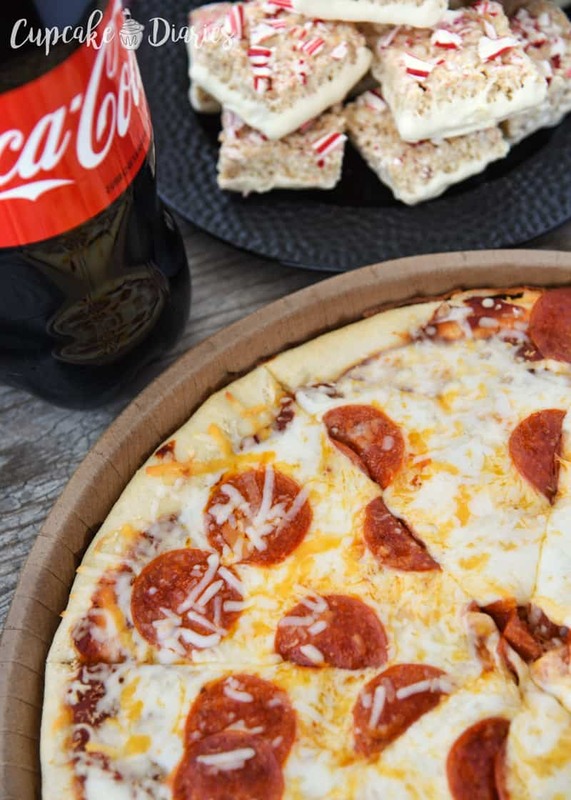 We paired our pizza with our favorite Coca-Cola beverages. 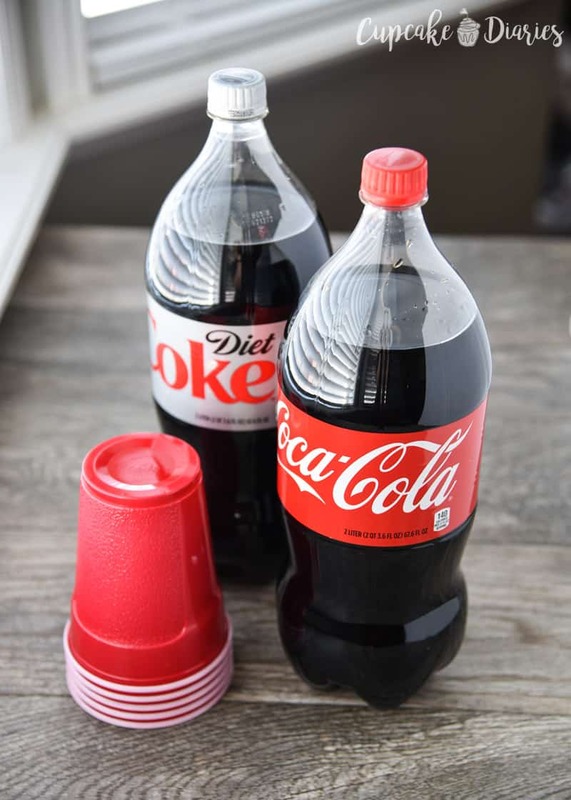 Diet Coke® and Coca-Cola® are our favorites and went perfectly with our dinner. Nothing beats a tall glass of Coca-Cola over ice with a slice of hot pizza! Pizza just tastes so much better with Coca-Cola. 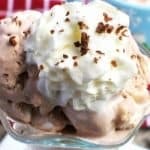 A quick dinner needs a quick dessert! 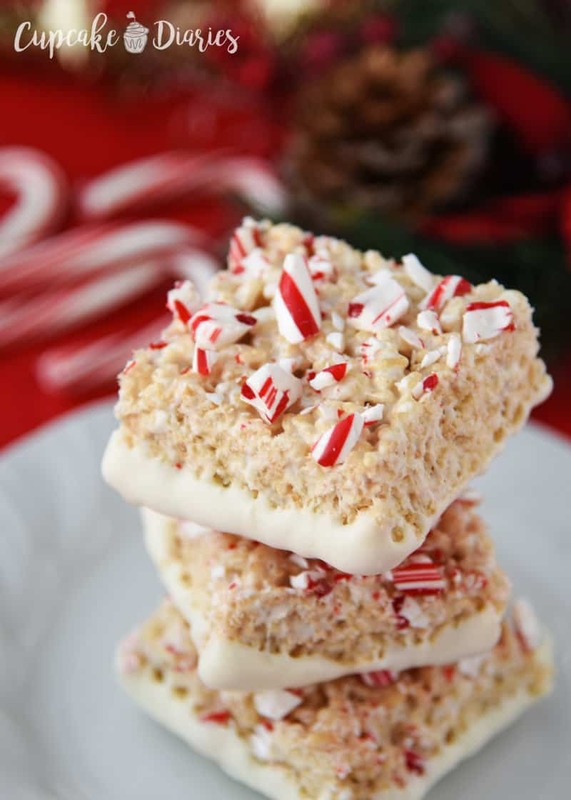 Peppermint and White Chocolate Krispy Treats are really easy to make and taste like Christmastime. 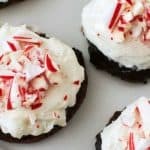 These gooey treats are loaded with peppermint and white chocolate flavor and they take minutes to make. This meal came together so fast from drinks to dessert! Coca-Cola, WinCo pizza, krispy treats…done! This is one easy meal and we’ll be having it for more of our family parties in the future. My kids couldn’t get enough. 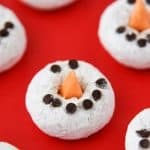 These treats are super easy to make and are really tasty this time of year. 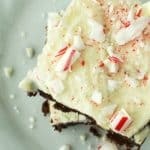 Peppermint and white chocolate are so good together! 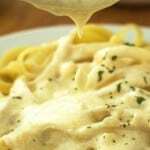 You’re going to love this easy recipe. 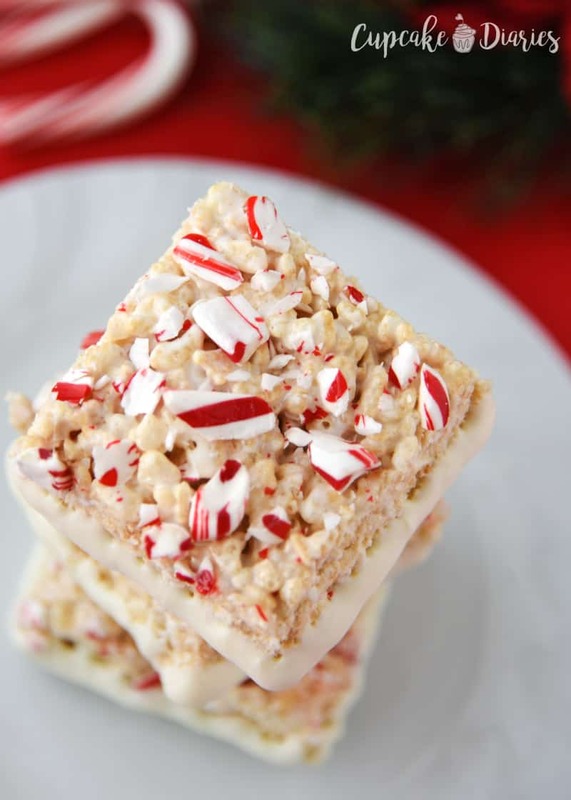 Peppermint and White Chocolate Krispy Treats are the perfect no bake dessert for the holidays. You can't beat peppermint, white chocolate, and marshmallow! Use a paper towel and 1 Tbsp butter to grease a 9x13 pan; set aside. Melt 1/4 c. butter in a small microwave safe bowl. Pour into a large mixing bowl and place marshmallows right over top. Place bowl in microwave and heat for 30 seconds; remove from microwave and stir. Heat for 30 more seconds and stir again until marshmallows are melted. Add peppermint extract and stir to combine. Pour cereal into melted marshmallows mixture. Stir until cereal is coated. Press treat mixture into greased pan, getting your hand wet first to avoid get the mixture stuck on your hand. 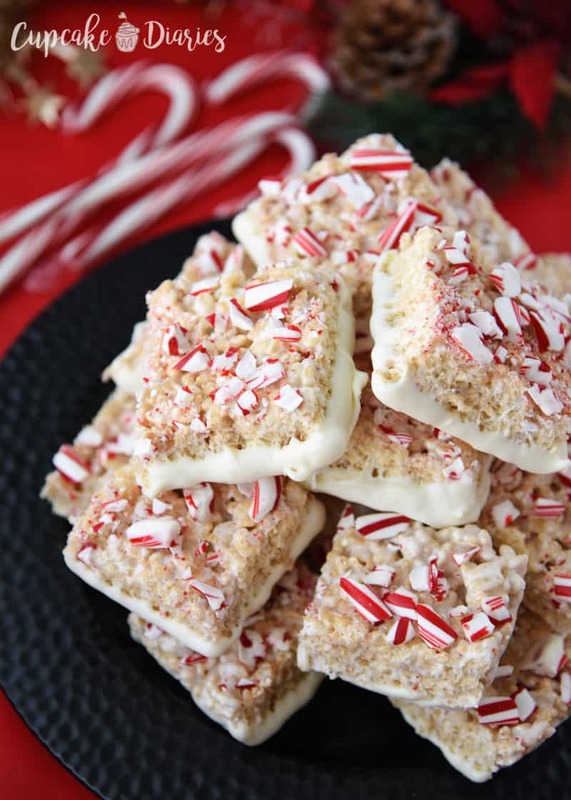 Sprinkle crushed candy canes over the treats. 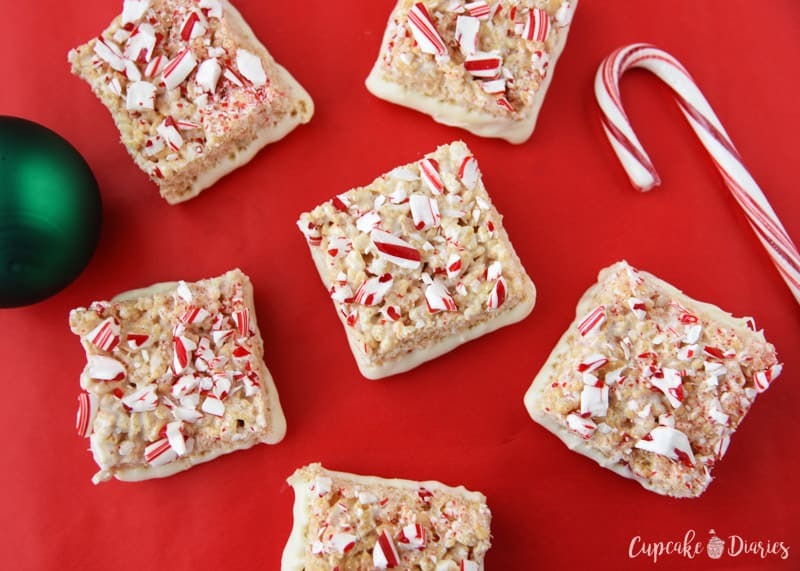 Use your hand to press candy cane pieces into treats to help them stick better. Cover with aluminum foil and place in the fridge for at least one hour. 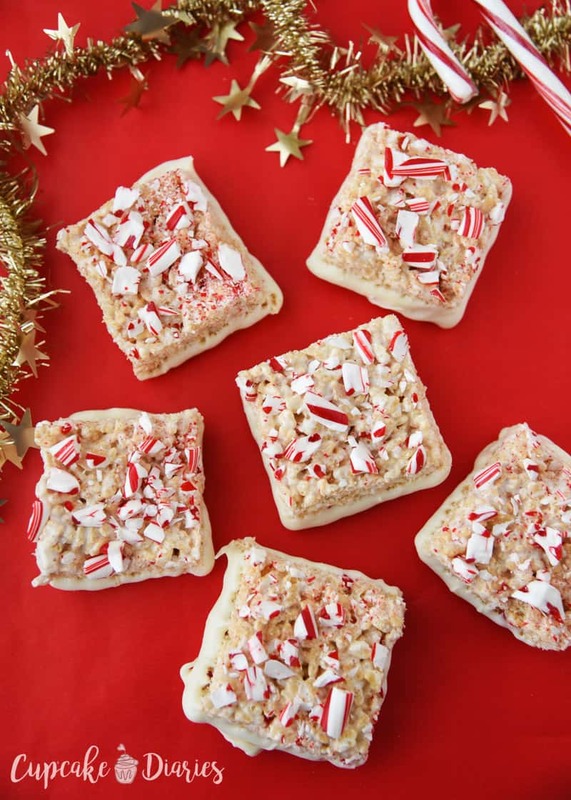 Cut treats into 15-20 squares and place upside down on wax paper. Pour white chocolate chips into a microwave safe bowl; heat for 45 seconds then stir. Heat for another 45 seconds and stir again, until chips are melted. Dip the bottom of each treat into the melted chips and place upside down on the wax paper to cool. Serve when chocolate has completely cooled. Enjoy! 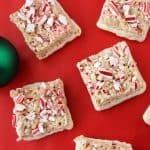 I hope you love these treats with your WinCo pizza and Coca-Cola beverages as much as we do! Be sure to follow WinCo on Facebook, Pinterest, Twitter, and Instagram for more information or to interact with WinCo. WinCo is also on SnapChat with username ilovewinco! Thanks, Cristi! They really were fast to make. Great for a busy weeknight! Should these be kept refrigerated? Hi Stephanie! They can be kept at room temperature and be just fine. I either put them in a tupperware container or cover them with foil. Thanks for the question!